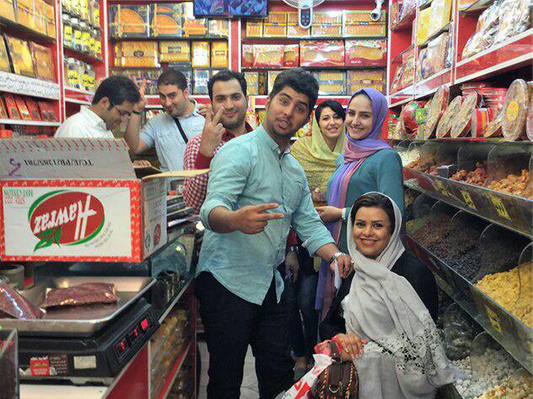 Stephanie Lester, the Director of Operations at the American Iranian Council (AIC), recently travelled to Iran alone for 10 days with the goal of proving that the country is safe, beautiful, and welcoming to Americans. “Before my travel, I had to explain to friends and family that there are no roaming hordes of ISIS militants in Iran; upon my return, I had to convince members of US Homeland Security that I was not a terrorist sympathizer during nearly two hours of detention and questioning,” she noted. “I recognize that a negative public opinion of Iran can directly affect the course of policy-making, emboldening politicians to use red-meat rhetoric and speak about Iran as our irreconcilable enemy,” Lester noted. “Since a more peaceful world starts with strong intercultural understanding and an informed citizenry, combating misinformation about Iran is vital. There are too many misconceptions about Iran to address here, but let me raise a few facts in light of my recent visit, that may be surprising to some readers,” she went on to say. She referred to Iranian women as educated people who are allowed to drive, vote, and hold senior jobs – many of them in math and science. She says during her last trip, she has even met a Basij [volunteer forces loyal to Iran’s Islamic Establishment], who ― when she told him where she was from ― was so excited. “He gave me a free jar of honey (which he was selling) and hope that I would view Iran more positively,” she added. Iran is even engaged in the fight against ISIS terrorists, she added, as reported by Huffington Post. “Further, there have been no major terrorist attacks in Iran. Guns are illegal among the general population and violent crime is extremely low. As a woman, I felt comfortable walking around alone at night in the major cities,” Lester went on to say. Referring to the way Iranian women dress, she described them as incredibly chic, and highlighted the manteaus and jeans they wear. American Iranian Council is a non-profit organization that claims to be working to improve US-Iran relations by promoting dialogue and intercultural understanding.